So, ta-da! I wrapped them in pretty orange papers. The 1940's trend of my choice has to be the cloche hat. This one (from an Etsy shop)is quite lovely as well! I'm hoping to see one in a thrift store one day! 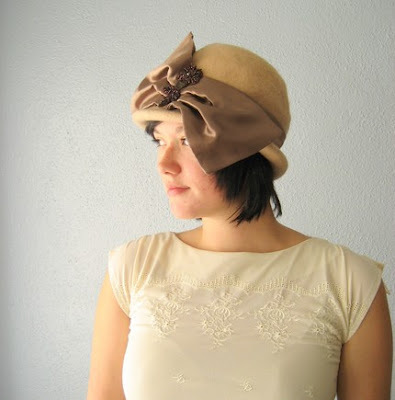 I'm totally into cloche hats, too! Banana Republic has REALLY cute ones in gray, navy blue and black. $50, though. I think it could be a good deal for the quality. (Tad bit too much for me still). Target has gray and black for $15 that is not as well made. And you really are ahead of the game. Ruffles seem to be "in" right now, too! Check out wkdesigner.wordpress.com/2009/05/07/cloche-hat/ there's a pattern to make your own cloche hat. there's some really great patterns on there too. Love the hat! 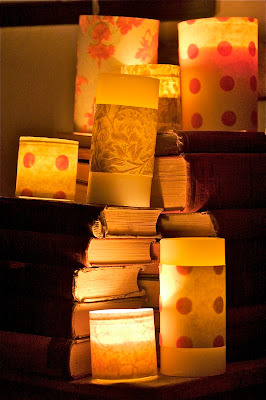 and the mismatched candles is something I think we can all relate to...Fantastic idea! Cute! What a great blog you have!!! Oh, that was a gorgeous knitted hat! 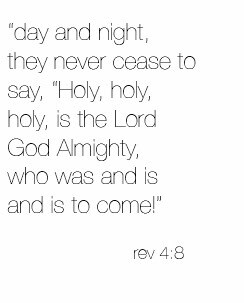 Thank you for the link! I wish I did know how to knit! 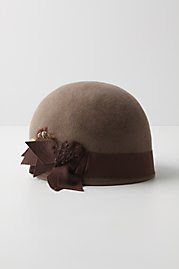 If you have a Parisian store near you they have cloche hats for about $25!!! I got a brown one with flowers...LOVE IT!!! I love the 40s! In fact, I call my style Creative Nostalgia and it's all about having a tiny edge of the 40-50s in my clothes, home, even my hair cut. (You can read about how I named my style here: http://katydiddys.blogspot.com/2009/08/creative-nostalgia.html). I love Anthropologie too, but have to stick to the sale section. Maybe the hat will be there one day-if I see it, I'll let you know! 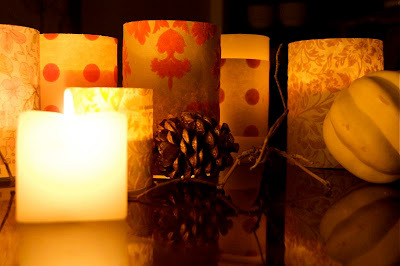 Love your paper wrapped candles! I love the 40s. Definitely my vintage decade of choice. This is a wonderful idea! Thanks for sharing. Love your blog! Hi There! 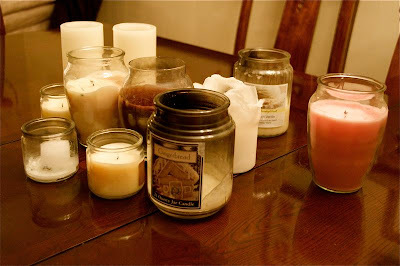 Love what you did to cover your candles!! Question: What kind of paper did you use to cover them? Scrapbook, wallpaper, origami paper?? Do tell if you don't mind~:o) Next question: I really like your blog! Wanna swap blog links? Hope to hear back from you!